Random drug testing of pupils is being introduced in secondary schools across Kent following the success of a pilot scheme in the county. The Department for Education and Skills said it would evaluate the impact of the scheme, which is being implemented by Kent County Council (KCC). A pilot scheme at Abbey School, in Faversham, saw pupils randomly selected and tested by taking mouth swabs. The school said it was one factor which led to record GCSE results in 2005. Five good GCSE passes were achieved by 40% of pupils, compared with 26% in 2004 and 32% the year before. During the scheme, 600 drug tests were carried out on pupils, chosen by a computer, at the specialist business and enterprise school. The school's former headteacher Peter Walker said the fact only one pupil tested positive for cannabis showed the scheme had worked as a deterrent. Now the government is to fund drug testing in several Kent schools. After half-term secondary heads will be asked if they would like their school to sign up to the pilot scheme. Parents will have to give their consent for children to be tested. At the Abbey School, consent was given for 86% of the 960 pupils. "One of the benefits is that it helped children to resist peer pressure to join in with drug taking or other misuse," said KCC cabinet member for education John Simmonds. "With all the external pressures on children we want to be able to support them as far as we can. "If testing will help then it is worth pursuing." Mr Walker was appointed as the UK Government's ambassador for random drug testing when he retired two months ago. Earlier this month he was invited to Washington to discuss the scheme and met US drugs tsar John Walters at The White House. Mr Walker said: "It is about time all schools came out and accepted that there is this problem that we need to address. "Anybody who says they don't have a drug problem in their school isn't telling the truth." The government will commission research based on the forthcoming Kent pilot to establish whether there is a direct link between random testing and behaviour, attendance and academic achievement. It's a bit of a leap of logic to suggest that this had any significant impact on improved exam results. Things are really getting out of hand, for jobs is one thing, random kids is another. Introducing random drugs tests in schools is an "extreme measure" which may drive abuse underground, a drugs information charity warns. The criticism from DrugScope follows news that secondary schools in Kent will be carrying out the tests. But DrugScope fears the move could undermine an open relationship between pupils and their teachers which can allow drug misuse to be debated freely. The charity has instead called for a focus on drugs education in schools. The decision to introduce the tests in Kent's schools follows a scheme at Abbey School, in Faversham, where pupils were randomly selected and tested by taking mouth swabs. The school said it was one factor which led to record GCSE results in 2005. Now Kent County Council is asking other schools if they wish to join a pilot scheme for the tests. "We're quite concerned Kent is considering rolling this out in other schools," said DrugScope spokeswoman Petra Maxwell. "There is absolutely no evidence to suggest random drugs testing have lowered drugs use." Ms Maxwell said the "intrusive programme" was inappropriate in the context of a school. "Schools may be a first point of call for pupils with problems," she said. "Open debates, allowing pupils to openly discuss the issues, are unlikely to be compatible with a school that has random drugs testing. "These tests are drastic measures and could have a negative impact on the ethos of a school and relationships within the school. "And teachers are professionals, they're the experts on young people, they don't need a drugs test to tell them a pupil has a problem." Ms Maxwell also expressed concern about children who were outside the school system, either through exclusion or truancy, saying they were more likely to be taking drugs, especially class A drugs. She said education was the key to preventing abuse among youngsters, particularly because it took into account legal substances, notably alcohol and tobacco. "We'd prefer to see the focus on drugs education." The teachers' union, the NASUWT, said it supported the concept of random drug testing. "Such strategies have the potential to both deter and detect," said general secretary Chris Keates. "Whilst the pilot in Kent is welcome, it is disappointing it is to be confined to only one authority. "I hope that others will press the Department for Education and Skills to include them so that the effectiveness of the strategy can be tested in a range of authorities." A spokesman for the DfES said the decision to introduce drug testing in schools was a local one. "As we have made clear throughout, the decision to adopt this approach will be one for heads in consultation with parents. "This is about providing schools who want to look at this approach with the best possible information and guidance rather than forcing them to do it." worst part of all this is that it could screw over perfectly good and law abiding students whose only "misdeed" was to smoke an occasional bowl, or have a drink on the weekends. swim cant imagine how many people this policy would hurt if it were widespread. A further worrying trend in all of this. Now imagine the information the police may have stored on those pupils that did test positive (and their home address and obviously their parents)...or maybe I'm just being paranoid? Drug sniffer dog at school POLICE screened a Rainham school's 900 pupils for drugs after teachers heard substances were being offered to pupils. Sniffer dogs picked out 30 youngsters, aged from 11 to 15, who had their hands tested for drug traces and their pockets and personal belongings searched by police. Six children tested positive showing traces of heroin, cannabis and methamphetamine, but police said they were very low traces, not indicative of possession, more likely contamination from other sources. The youngsters' details were taken but no further action will be taken by the police or the school. The two hour sweep was carried out by 25 police officers on Wednesday morning at Brittons School in Ford Lane, - the school where the Respect Campaign to improve citizenship was launched last year. A search of the pupils' possessions for drugs proved negative. School lockers were also searched by sniffer dogs, but nothing was found. The police were invited to carry out the sweep after the school raised fears about drugs in the school four months ago and it followed on from education workshops on drug awareness held last month. Similar drug sweeps may now be conducted at other schools. A police spokesman said: "This was the first in Havering and we are looking to do this in other schools in the near future, but this will not be compulsory at this stage." Headteacher, Robert Sheffield, said: "I am very pleased no child has been found in possession of drugs. 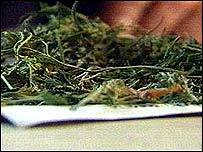 "Traces of drugs that were found were deemed accidental and not from pupils using drugs. They probably came in contact with the substance by sitting on a bus where someone else had been using or taking the drug. "We approached police after learning that illegal substances were becoming increasingly available and being offered to pupils. We took a very proactive stance on this. "The pupils are 100 per cent behind this and want to make sure their school is drug free. I would like to thank the students for their co-operation throughout the initiative. "I hope this brings some reassurance to their parents that we are taking positive steps to stamp out drug misuse," he said. The school wrote to parents about the search after it had happened and a meeting is being held on Tuesday for any issues to be discussed. 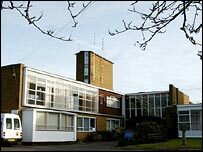 A police spokesman said pupils could have refused to be searched but if officers had reasonable grounds for the search the person could be detained at a police station where the search would then be conducted. The police's Problem Solving Advisor, Graham Knight, said: "The fact that no drugs were found highlights the power of the education phase of the operation.